On day two of the Aggie Classic, Tate defeated Washington (OK) 7-0 Tuesday night. Three Aggie pitchers combined to throw the shutout. Jace Dunsford earned the win in four and a third innings, allowing no runs on two hits and striking out seven. Brantley Culbertson and Biggs entered the game out of the bullpen and helped to close out the game in relief. Jadon Fryman led the Aggies at bat going 3-3. 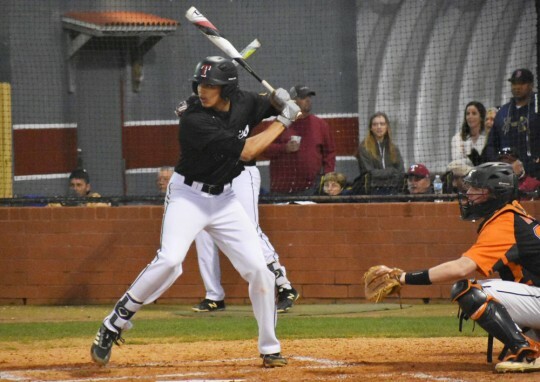 Mason Land, Darrien McDowell, Chase Tolbert and Trevor Norton also had hits for Tate. The Aggies had nine stolen bases in the game, includingthree from Raymond Lafleur and Land. Tate will host Nobles (OK) on Wednesday at 7 p.m.
Pine Forest defeated Pensacola High Tuesday night. Jared Riddell got the win for Pine Forest. He allowed four hits and one run over five innings, striking out seven and walking zero. Tekoah Roby hit a 3-run homer in the fifth inning. Pine Forest collected 11 hits. Chase Gullatt, Tekoah Roby, Hunter Smith, and Christian Munoz each racked up multiple hits for Pine Forest. 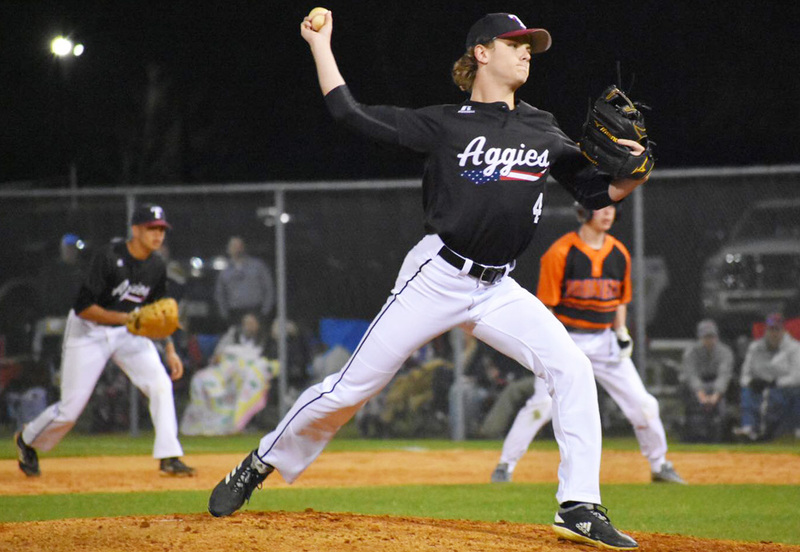 Pictured: Tate tops Washington of Oklahoma Tuesday night in the Aggie Classic. Photos by Crystal Tolbert for NorthEscambia.com, click to enlarge.